In Episode 11 of our regular Motorsport Business roundtable discussion (Nov 2016), Strategists, Consultants and Business Development Managers based in India, UK and USA discuss the latest developments in motorsport marketing and sponsorships. Deepali Ramaiah (USA / IND) – Marketing strategist with an MBA in Global Marketing & experience in engineering services. An occasional F1 writer for f1pulse.com, The Youth Express with keen interest in motorsport sponsorship & has assisted Fox Sports Asia with F1 GP analysis. Prabha Shankar (IND) – Director, MOMA and FIA Sporting Commission member, is on the cutting edge of developments in the motorsport business in a variety of disciplines such as Formula Car Racing, Truck Racing, F1, Driver Development & Simulator experiences. Q1: Audi announced that it is leaving WEC series and VW is also leaving WRC—these have been linked to “#DieselGate”. What will be the effect on fans and the respective series? BW: Yes, this is an interesting one. Generally, what we are finding in the industry is that a lot of tracks, circuits, events, venues and manufacturers are now focusing on future sustainable technology, whether that’s electric cars or hybrid vehicles, and this is a sign of that. Really the challenge for the race series is to make their championships relevant to manufacturers. What effect it will have on spectators, we are yet to see. DR: Firstly, following on from Diesel-Gate, I understand that the buyback programme Volkswagen Group agreed in the US is going to cost them $15 billion. Also, I read that the mandate that was given to the Volkswagen program was to cull programs that are costing them money and not contributing to the Marketing or R&D portion of the group. From what I see the WEC/LeMans program was basically costing Audi close to $0.5bn per year and given that they haven’t been doing great these past few years, maybe that’s why they were shut down (withdrew from WEC). 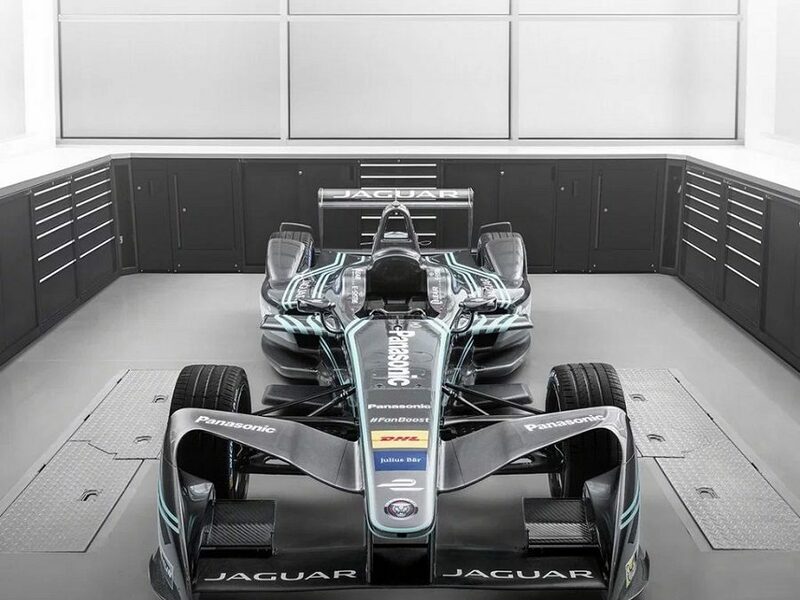 If they really need to continue to showcase Audi as competitive and on the cutting edge of technology, then FormulaE seems to fit the bill because the series has a budget cap and requires a lower level of investment. The same with WRC; VW seems to have gotten what they wanted out of the series and were winning for the past few years. The other interesting thing is that Audi LMP1 key engineer Leena Gade left earlier this year – probably much earlier than we expected, perhaps related to the #DieselGate scandal. 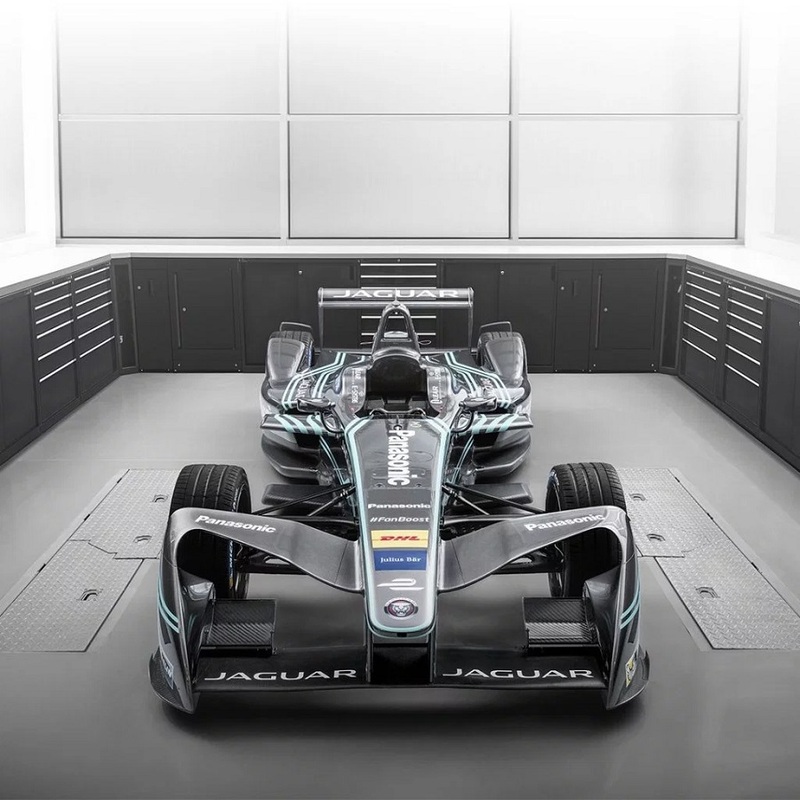 If you look at FormulaE now, given the types of manufacturers who recently joined the series (Jaguar and Audi) and Mercedes signing up for an option to join in Season 5, this is only going to raise the profile of FormulaE whereas conversely, WEC might suffer because a lot of people involved in the program (marketing, sponsors etc) are leaving the series. NG: If you look at the way VW/Audi operated in WEC, they used the series to develop their technology through diesel power and they probably come to the limit on that anyway. And you also have Porsche and Audi from the same group spending millions of dollars on R&D …. so yes, it makes sense to cut back on these. Their decision to withdraw from WEC looks to me like pretty clever planning i.e. it came at the right time. But on the WRC side, I think there’s going to be a bigger problem since they have already spent a lot of 2017 development money there. Their withdrawal will also affect spectators for WRC since the biggest teams are pulling out. On another note, RallyCross is considering introducing Electric RallyCross so perhaps there is scope for VW to compete here instead. I mean, has there ever been a series where a particular championship winning team has been winner of three years in the row and just left the series? It is really unusual especially as they have built up such a fanbase – it is certainly going to leave a bitter taste. PS: What I hear from them, yes all these developments are coming out of #DeselGate – it is not a non-proactive step. Even then it comes to Audi, they have already done what they can with their diesel cars. And they can now push in the direction of Electric. Audi hold more patents in Self-driving cars more than Google so this indicates they are seriously about the electric future of automotive industry. Q2: Radio Gaga: Drivers’ ranting and cursing in F1—Is it good for the sport if fans hear drivers’ raw emotions or should they be penalized? DR: (I will try to answer this questions as objectively as possible as I am a Vettel fan). This is nothing new. I was looking at some old footage and in 2001/2002 Montoya called Jacques Villeneuve a f**king idiot multiple times over the radio and it wasn’t bleeped out. Ross Brawn said that the amount of radio transmission has increased and is more tightly controlled than before when there was more salty language but not a lot of it was broadcast. I genuinely feel that there has been more opinions on Social Media – in a way it is reflective of how F1 is trying to spice up the sport by hearing radio messages that might not have been heard e.g. Vettel was asking to go to the toilet – has no relevance to the sport. FOM meant to amp up the drama of the last few laps, but I think Vettel went too far to chastise Charlie Whiting – you don’t curse the referee. NG: As part of my work with Motorsport Ireland, I act as Social Media adjudicator and the phrase “Bringing a Sport into Disrepute” is thrown around but what does that mean? In my view, that particular comment (Vettel on Charlie) shouldn’t have been heard. They (Formula One Management i.e. 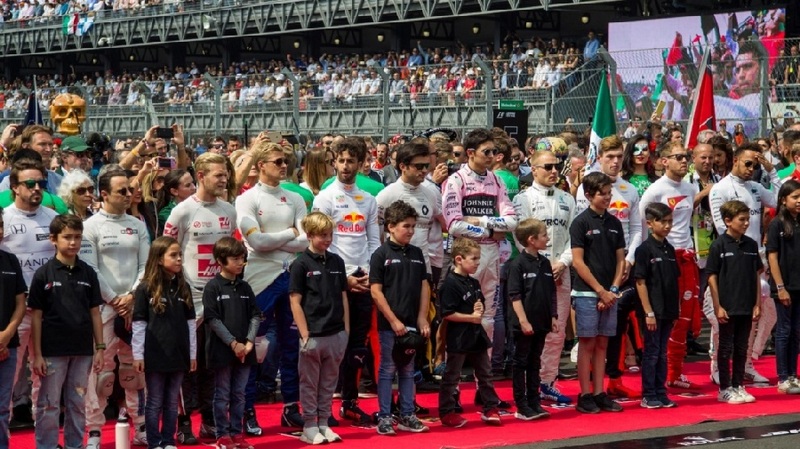 broadcasters) are creating a spectacle for viewers but when a driver is cursing an individual who is not on the track – that is taking it too far. Did it bring the sport into disrepute – Yes. But it was the broadcaster, not the driver, who is guilty of that. BS: I was talking to a neuroscientist about the concept of rage in sports. If you feel “Play” while on race track, sportspeople can stay in peak focus and attention and drive well. But if “Rage” is engaged, they can’t turn it off. Red Mist sticks around longer – but once out of the car, the red mist disappears and they are clear afterwards. It’s a very primal behaviour – which overrides that part of the brain. BW: It is great that we have access to their radio transmissions. If you look at other championships such as BTCC, drivers do respect each other. There has to be some line there – they are settling examples for younger drivers. Here’s a link to MSA Race and Respect (which is meant to serve as a guideline to drivers) https://www.msauk.org/The-Sport/Race-n-Respect. That said, I don’t think we should discourage drivers from showing that side of themselves. As Niall said, it is a private discussion. PS: I am a race official so I think Rules are Rules. Maybe this is one instance that they chose to broadcast this piece of radio transmission (to ramp up the entertainment factor). Q3: Circuit of the Americas (COTA) boss has indicated that he would like a bigger gap between USA & Mexican GP, after previously considering option to collaborate with Mexico to offer fans a “Tex-Mex Two Step” ticket; Discuss. BW: I’m surprised that we don’t see more collaboration between circuits. In UK & Europe, more venues schedule more to coordinate their events to maximise exposure. For me it makes sense for GPs to be closer together, not just for fans, but for sponsors and for logistical reasons. It would also be interesting to see if we could join up the Asian and Middle Eastern events e.g. Bahrain and Abu Dhabi. In my view, if races like Malaysia GP can limit the reliance on government subsidies, then it is better for everyone. It demonstrates that there is a business case there, driving the economy. NG: In theory, you could use one race to develop numbers for a fledgling event. PS: Most of my experience is on new circuits, rather than traditional circuits. One has to take a step back and evaluate if the circuit business model depends on spectators only or large Government support.